Despite fleet adjustments and a number of savings programs “we do not step out of freighter ops and the cargo arena as such but intend doing business in a smarter way," states Marcel de Nooijer. Streamlined transport solutions, combined with new products and a “CargoBus” named new revenue management & reservation system shall pave the way for a profitable future of the freight unit. 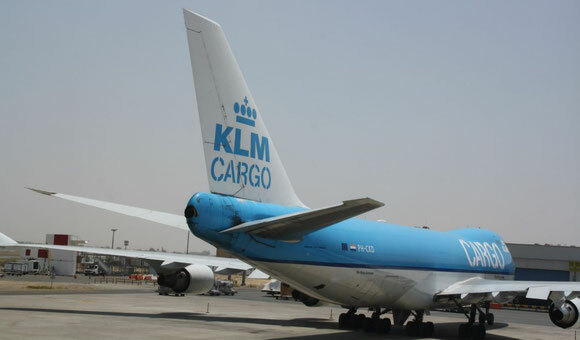 Touching AF-KL-MP Cargo’s financial situation that is worrisome since many years, manager de Nooijer delivers surprising news: a fixed allocation model replaced the long-time existing artificial cost allocation scheme, forcing the cargo unit paying a flat rate for the entire lower deck capacity of the company’s passenger fleet. “The new model eases our financial burden substantially since we are measured and accountable for the cargo contribution we deliver to the overall AFKL network, thus the overall cargo revenue and our cargo manageable cost,” states Marcel. According to him, about 80 percent of all flights depend on cargo contributions, leaving 20 percent out, thus easing the expenses of AF-KL-MP Cargo according to the contribution model. The freighter fleet, comprising two Boeing 777Fs based in Paris and four Boeing 747Fs in Amsterdam is exempted from this scheme. All formerly operated MD-11Fs are phased out since last year. 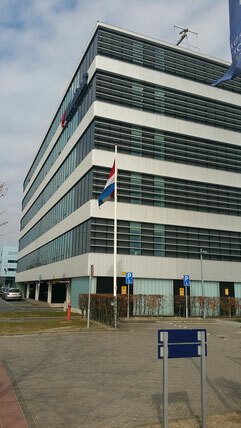 “We have closed the MD-11F chapter,” states Gerard Roelfzema, Manager of Internal Comms & Cargo Press Relations. “We are a hybrid carrier and we will stick to freighters to complement the belly-hold capacity offered by our passenger fleet,” the manager emphasizes. He adds to this that close allies like China Southern that operates a large freighter fleet could provide additional main deck capacity if needed. It’s a give and take to mutual benefit. As to KLM’s own 11 Boeing 747 Combis, Marcel states that one aircraft will be phased out at the end of this summer, with the remaining 10 leaving the fleet successively until the end of 2020. Cargo friendly passenger aircraft like the Boeing Triple Seven and the B787 will replace the Combis’ capacity. His and his team’s latest innovative business model is a pilot scheme set up in Heathrow and Barcelona for testing purposes. The core idea is to integrate cargo and baggage processes offering the market a same day product. “It’s freight but flown as baggage,” Mr de Nooijer states. This only applies to small shipments, he adds. Currently, they still need an Air Waybill for being admitted but “we intend flying them without AWBs in the near future.” Marcel speaks of an “innovative business model” based on a pact with Schiphol Airport and a joint company with Parcel International and Schiphol Airport named “12Send” (speak: one-to-send), who is responsible for delivering the same-day product within Europe. All in all, the new course set by the management has led to a tangible upbeat atmosphere within AF-KL-MP Cargo. “Among our staff there is growing optimism and a perceptible trust in our own resources leading to a pioneering spirit,” states communications manager Gerard Roelfzema. The employee’s increasing confidence in their employer’s abilities can hardly be overrated. After all, a contented workforce identifies itself with their company and commits to common goals. This was not always the case within AF-KL-MP Cargo!